Our curriculum offers children a carefully prepared environment, rich in learning materials and experiences. Students are grouped in mixed-age classrooms, which allow them to interact with each other on a variety of levels. Teachers are referred to as “guides” and are facilitators in the learning process. 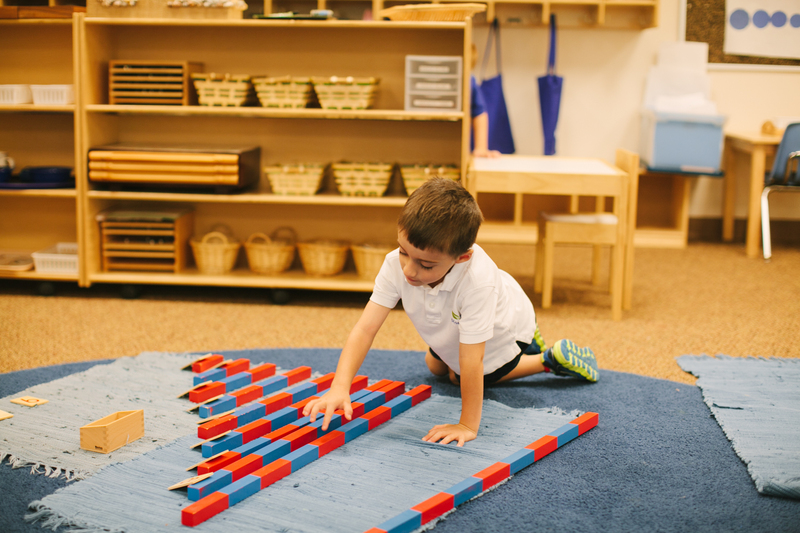 Through careful observation and guidance, children are directed toward meaningful activity, which helps them discover and develop their own interests and abilities. Movement and Cognition: Movement and cognition are closely entwined in children; movement can enhance thinking and learning. Choice: Learning and well-being are improved when children have a sense of control over their decisions. Interest: Children learn better when they are interested in what they are learning! Avoidance of Extrinsic Rewards: When a child is motivated by rewards, the absence of them can have a negative effect. We show children that successful mastery of a task is the motivation and the reward. Learning From and with Peers: Collaboration with other children at school is used to help children learn. Learning in Context: Learning within a meaningful context provides deeper and richer understanding than learning in the abstract. Respectful Teacher-Child Interaction: Teachers show the highest level of respect for children and their work. 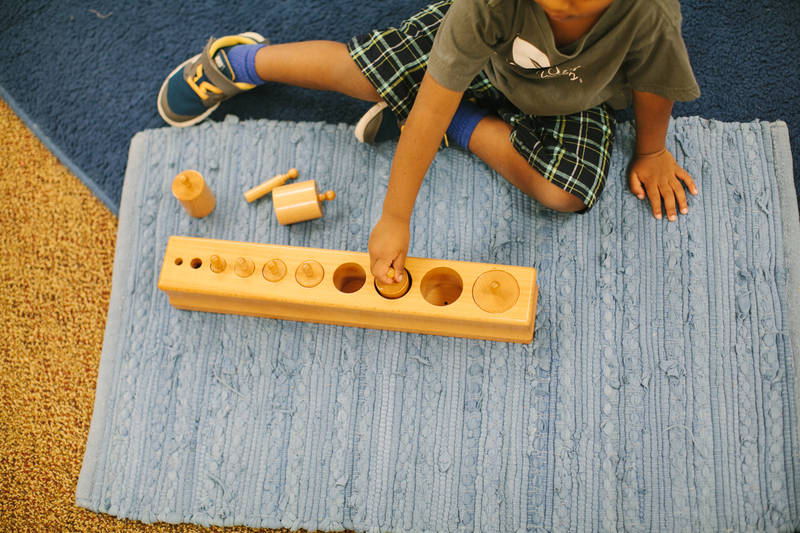 Order in Environment and Mind: Order in the classroom provides clarity and focus for children is beneficial to learning.